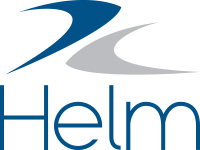 When you first start using Helm CONNECT, you will only have a single, default space. Unless you add more spaces, the default space will be the only one you can see in Logs or in any of the Shown in or Spaces drop-down lists throughout Helm CONNECT. Although you can rename your default space, you can't delete it and you can't change which space is the default space. This is because all jobs and activities are displayed in the default space.